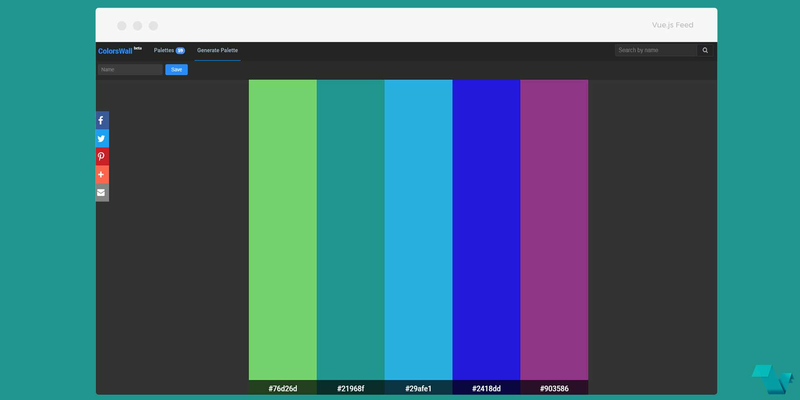 Colorswall is a place where you can create new palettes and store them using a HEX code, reaching up to 20 colors in a single palette. Everyone can go through the available palettes, clone it, and get the colors contained in it (HEX, SCSS, LESS), all powered by Vue.js. Take a look below to see how it looks like and works. Colorswall is a great example of Vue in the works. You can search the website and use its functionalities like searching palettes by name, rearranging them, or creating a random palette to see how things run.